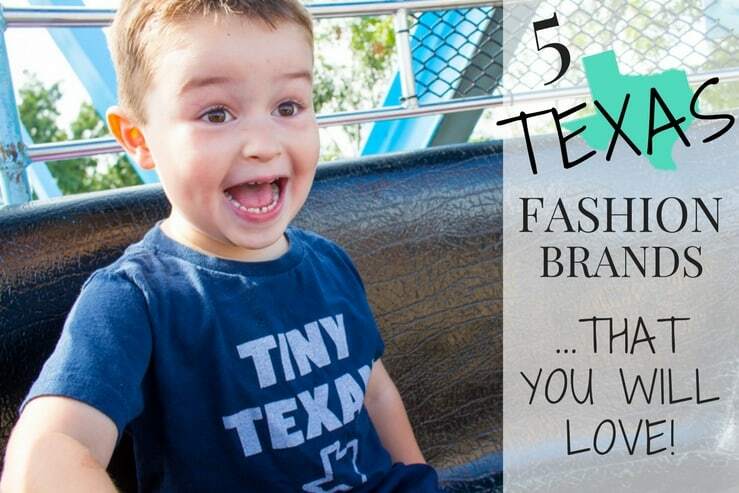 Can we please talk about how Texas pride fashion has suddenly become such a big deal?! 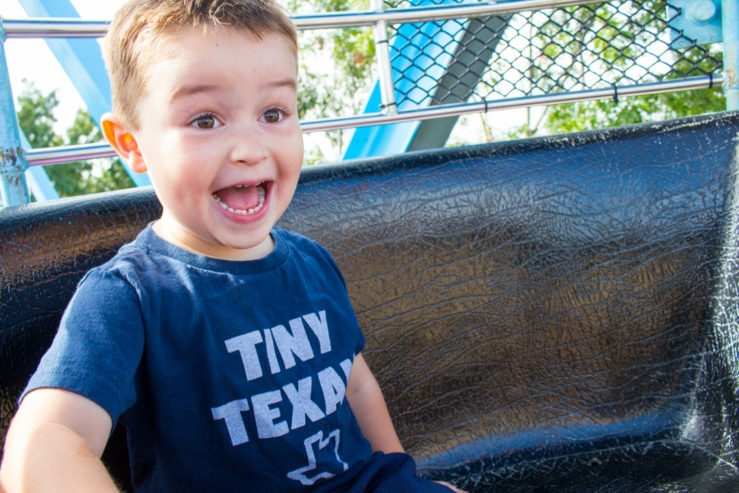 Exhibit A: Here is my son, who at the wee age of three — cannot hide his Texas pride. So today, I’m going to share a couple of my favorite brands that I use to Texify my closet! I know you’ll adore them as much as I do. I found Texas Edge on Instagram, experienced legit heart flutters, and raced to the computer to request jewelry for my cover shoot for Urban Cowgirl! 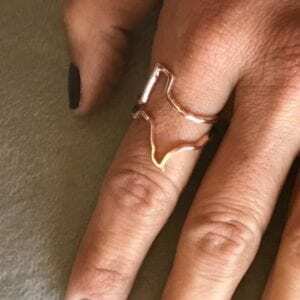 This small business produces unique, and edgy Texas jewelry like wrap bracelets and rings, Texas chokers, and even hair jewelry! 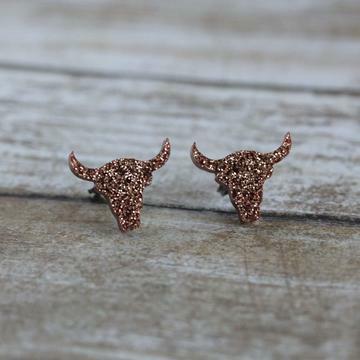 Visit Texas Edge Jewelry Here! This small business understands that as Texas women, we WANT glitter and glam! 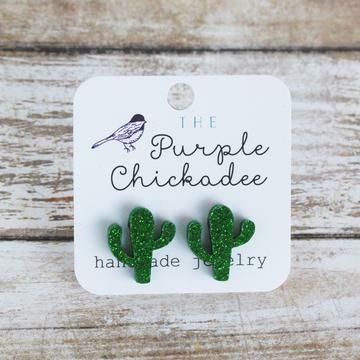 Purple chickadee hand-creates Texas and Southwestern inspired jewelry in the cutest designs. Cacti, Texas shapes, longhorns, and even seasonal earrings like little glittering pumpkins, are all available for less than $10! The artist, Danielle, also frequently hosts ridiculous sales on Instagram like earring sets for $5! Check out her adorable green glitter, cactus earrings in my Hatch Green Chile Youtube Video! Last night, for the good of humanity, I asked her to bring back the gold cactus earrings, and here’s hopin she will! 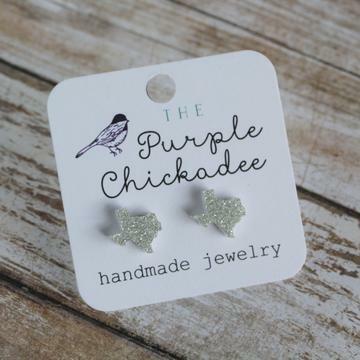 Visit The Purple Chickadee Here! If you haven’t heard of Texas humor before you must live under a social media rock, because these guys are HILARIOUS. 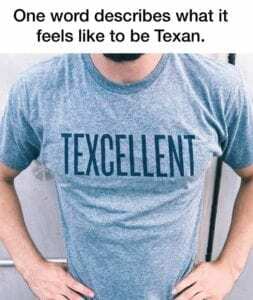 From their punchy Texas twitter jokes, to their Whataburger Instagram memes, to their newsletter emails coming from Davy Crockett and Sam Houston, this clever clothing company appeals to the humorous side of being born Texan. I have a closet full of their shirts, but my favorite is the “Super Texan” from my Mayan Margaritas Youtube video, and my oversized “YALL University” shirt… for cozy days when I’m just chillin. 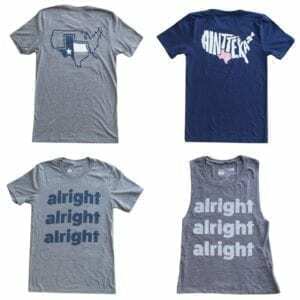 Next on my list is their “TRUST ME I’M TEXAN” tees – for obvious reasons. Every time Elle Lain posts Instagram photos of a new shipment of clothes, I will, without fail, receive 3 screen shots from various family members showing me what they just purchased. The owner, Lauren, a former Dallas Cowboy’s cheerleader and friend of the family, started a small online boutique in 2015, and we haven’t stopped shopping since. 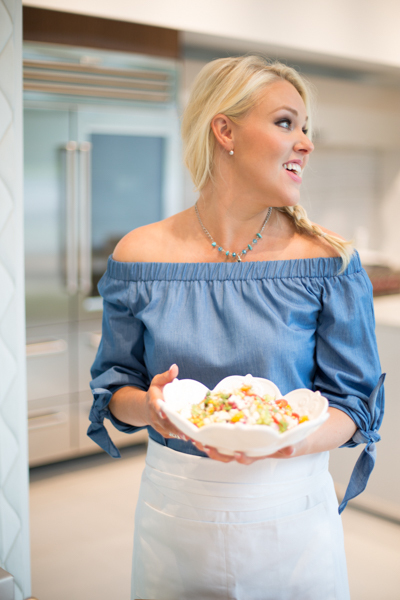 …to the Mexican pancho blouse that I wore in this youtube cooking video. 1. She tends to offer the entire styled outfit, so I can shop the whole look. 2. She offers FREE SHIPPING and ships from Dallas, so you’re looking at 2-3 days MAX. I know, we’re not all Aggies, but the moment I stepped into Aggieland Outfitters in College Station, I kinda wanted to be. 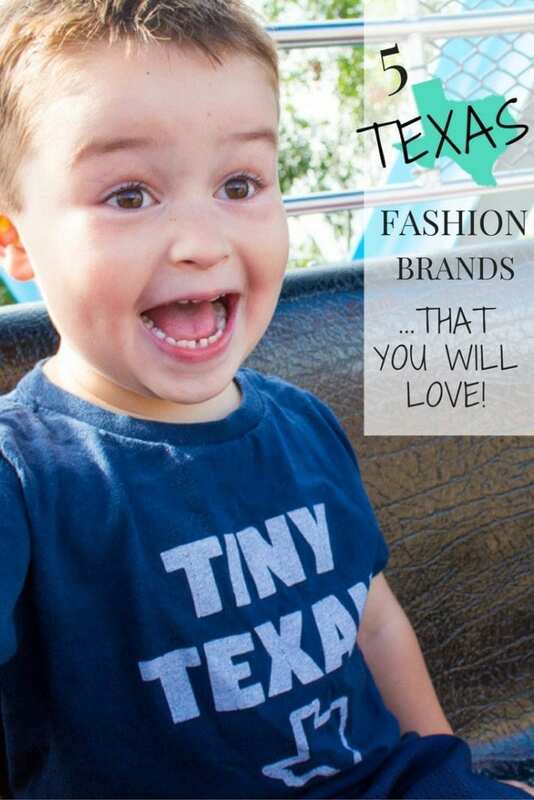 This upscale store offers everything from Texas t-shirts and Aggie’s jerseys, to gorgeous country chic clothing for men and women (and babies, and housewares, and cookbooks). 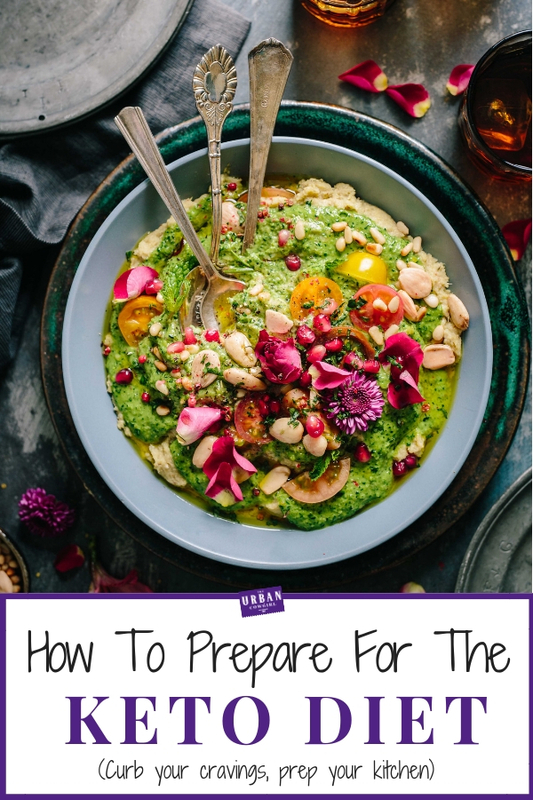 Guess who’s cookbook? ???? The shop hand selects boutique items at Dallas Market, and curates it into an impressive who’s who, of artisan Texas fashion designers. 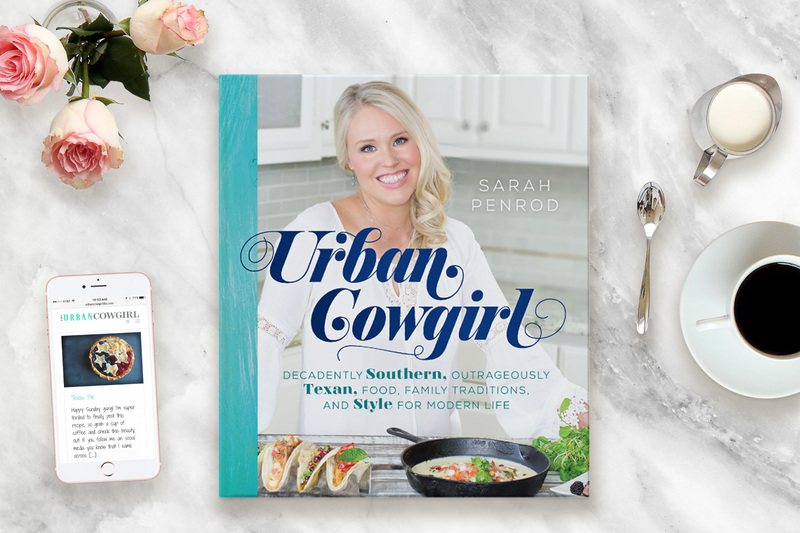 If Urban Cowgirl had a clothing shop, I feel like it would most closely resemble the ladies fashion area of this shop — and you don’t have to travel to College Station to shop their looks! They keep a beautifully designed website that ships quickly, and painlessly to all of Texas. Make sure to check out their geode jewelry, real leather choker necklaces, and upscale country chic fashion! Did we miss anybody? Let me know in the comments and I’ll feature them on a future post! Enjoy this post? 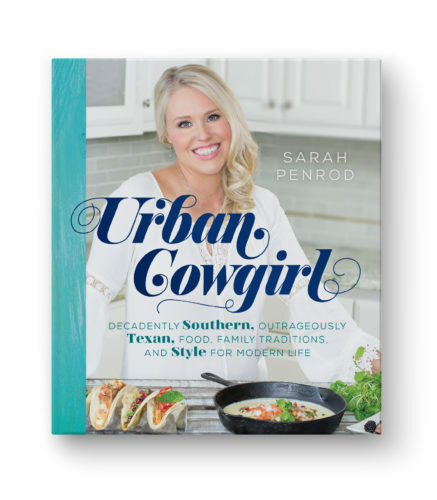 Come check out the Urban Cowgirl’s Texas Cooking Youtube Channel Right here!